A total of 700 homes were evacuated. Residents were allowed to return home hours after a brush fire scorched more than 1,100 acres in the Santa Clarita Valley Saturday, forcing the evacuation of 700 homes in the Stevenson Ranch area, officials said. 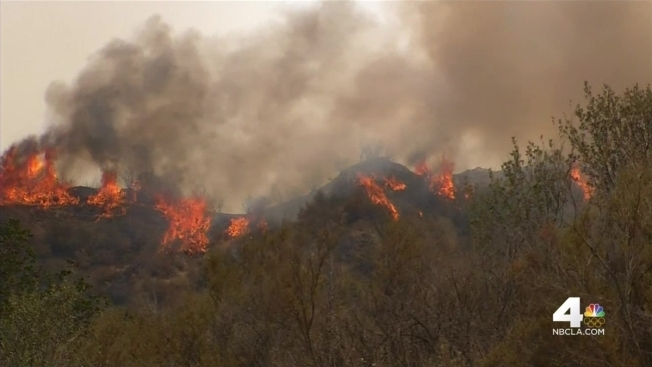 The so-called Sage Fire erupted near The Old Road and Calgrove Boulevard, according to the Los Angeles County Fire Department. More than 200 firefighters battled the blaze, which jumped from about 75 acres Saturday afternoon to 800 acres by 7:30 p.m. 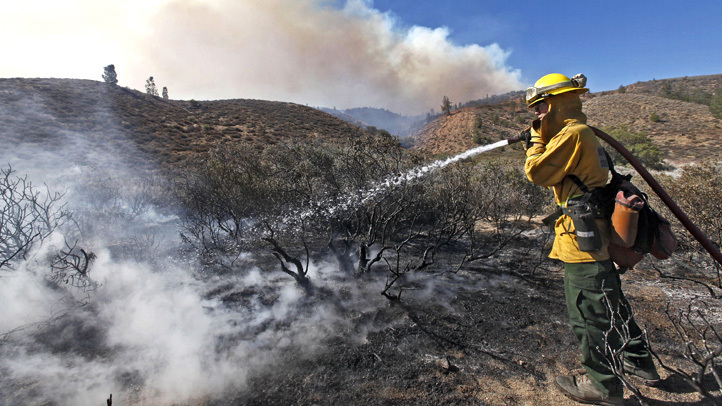 The blaze was 20 percent contained as of Sunday morning. Resident Tony Chavez from Castaic helped his family defend their home as flames chewed through thick dry brush 50 yards away. "The heat was so intense, it was burning the hairs on my legs and at that point everyone was taking off," Chavez said. "We decided to stay and fight." They used garden hoses and water from a Jacuzzi to battle the flames. The forced evacuation affected roughly 2,000 people, including residents in the areas of Morning Mist, Hazlecrest Lane, Bracken Lane, Laurel Crest Lane, Sagecrest to Smokewood Way, Summerhill Lane, SouthWind Court, Jasmine Lane and Southern Oaks Drive between Greenbriar Drive. An evacuation center was set up at the College of the Canyons at 26400 Rockwell Canyon Road. Fire officials began to allow residents to return home at 9:30 p.m. as long as they provided identification. No large vehicles like RV's would be allowed. Plumes of smoke could be seen for miles. The blaze also caused a major backup on the 5 Freeway. One inmate firefighter suffered a minor injury and nother firefighter was being treated for a heat-related injury, fire officials said.